Tai Chi also taps into the principle of Mindfulness — being able to calmly focus on a single idea, movement, thought, or problem. 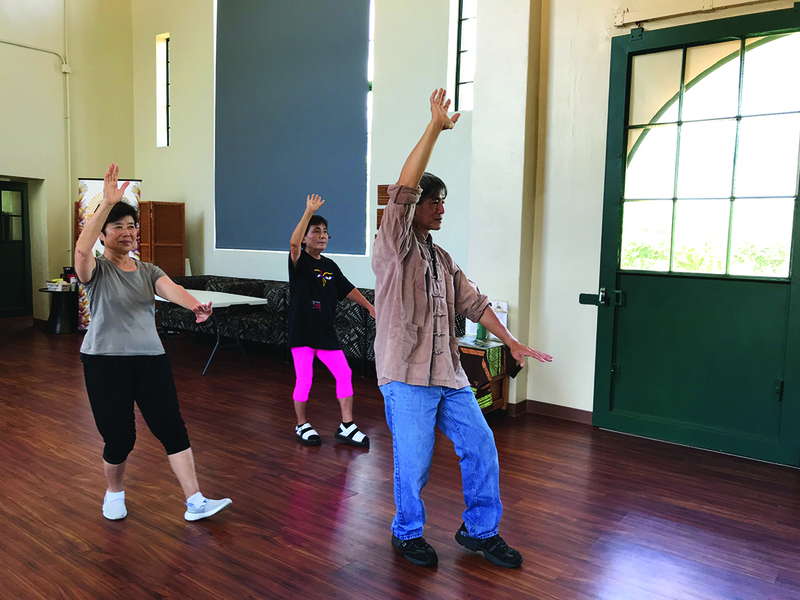 The Tai Chi for Health program at the Nā Kūpuna Makamae Senior Center in Honolulu, taught by certified instructor Randal Lau, provides a safe exercise designed specifically to meet the challenges of aging. It is open to all fitness levels and abilities, and is a great way to relax, enjoy yourself and improve your health and overall well-being! The class runs Tue. 10–11am and Fri. 11am–12pm. Weekly kūpuna activities at the Senior Center in the historic pumping station on Ala Moana Blvd. include: Gentle Yoga & Sound Bath, Hula, Qi Gong, Hawaiian Language, Lauhala Weaving, Pua Culture/Lei-Making Class, Hanafuda, Tech Savvy Seniors, Kūpuna Podcasting, and a monthly Farmers Market.